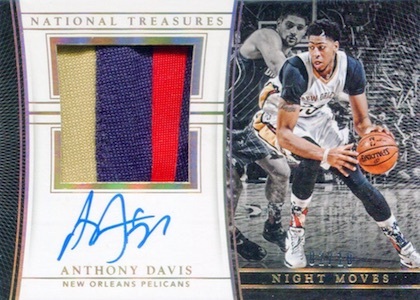 Once the ultimate option in the collecting world, 2015-16 Panini National Treasures Basketball is now one of many high-end hobby options. 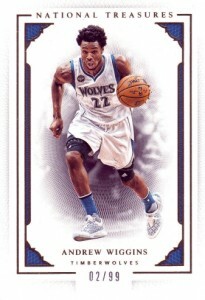 Nevertheless, NT still carries plenty of clout with collectors and offers the top rookie cards of the year. Each hobby box includes eight total hits. 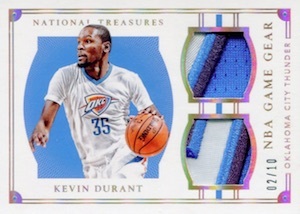 Limited from top to bottom, 2015-16 Panini National Treasures Basketball is a detailed release but with a focus on quality. Base cards and parallels combine to average one per box. 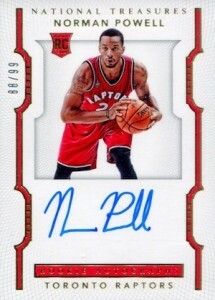 The main draw for most, Rookie Patch Autographs (#/99 or #/49) feature top 2015 NBA draftees with a horizontal design, large patch and on-card autograph. RPA parallels include Silver (#/25) Gold (#/10), Emerald (#/5) and one-of-one Logoman. Among the other premium options are a mix of autographs and relics. 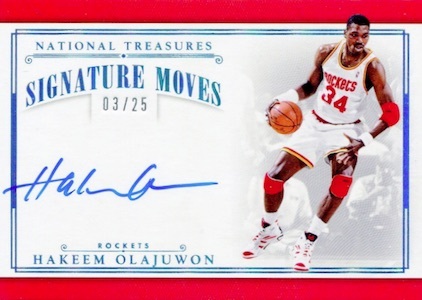 On the signed side of things, International Treasures Autographs focus on players with a foreign background while USA Basketball Jersey Autographs cover the elite stateside names that populate the national team. 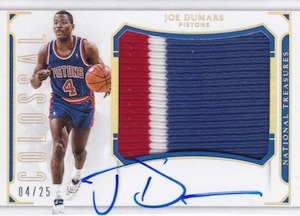 Memorabilia relic options include Logoman, Material Treasures and Treasured Tags for rookies, veterans and legends. 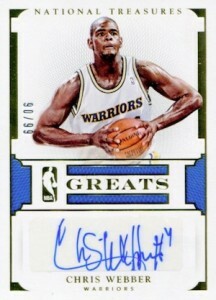 Making their NT debut, NBA Finals Nameplate relics feature full letter patches worn in the 2015 NBA Finals, including options for Stephen Curry. 15-16 National Treasures Larry Nance Jr Rookie Patch Autograph Card #08 49! 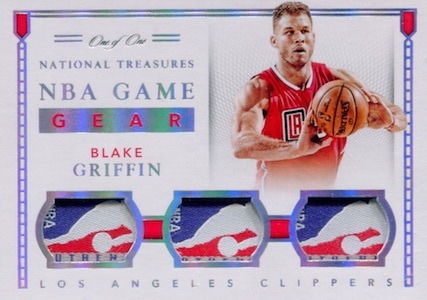 Shop current 2015-16 National Treasures Basketball listings on eBay. 15 cards. Serial numbered #/99. All cards not found in each parallel. View specific print runs with full spreadsheet. View specific print runs with full spreadsheet. 13 cards. Serial numbered #/25. 34 cards. Serial numbered #/99. 35 cards. Serial numbered #/25. The plates in this stuff are garbage, decent retro hits, but alot of single color jersey, and some head scratchers included. 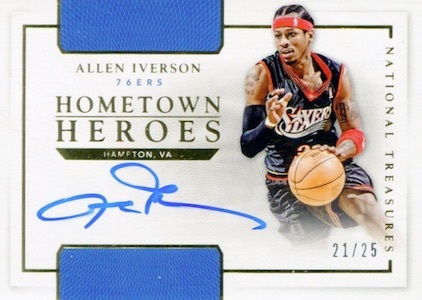 Terrible overpriced, comes with 3 or 4 single color small jersey swatches and a garbage printing plate and an auto of a hometown hero type scrub like Rick fox or Ron seikely. That leave you with 2 o.k. Hits and its $600 !! For a box. 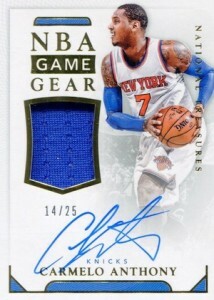 bought 4 box case got d’angelo Russell and porzingis patch autos. 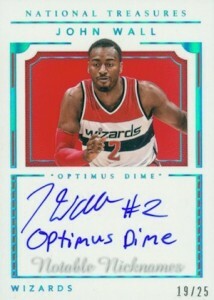 also got davis Olympic auto rest of autos were okay nothing to write home about. I got my boxes for a lot less than $ 600. 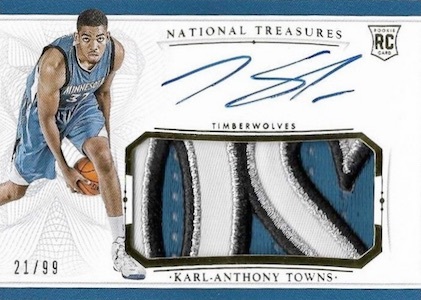 2015-16 National Treasures Basketball Hobby Box Karl Anthony Towns AUTO RC ? ?